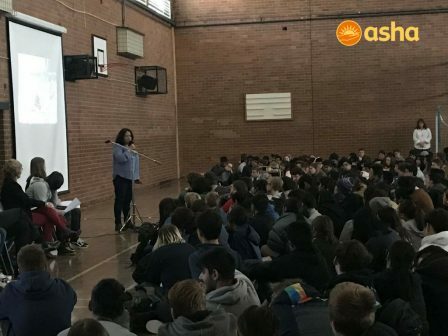 What a delight it was to address high school students at Narrabundah College, Canberra. Dr Kiran spoke about Asha’s education programme with great enthusiasm, and the students and staff were excited at the possibilities of a partnership with Asha. They were inspired by Mahinder’s achievements! Many thanks to the Principal Kerry Grundy for hosting Dr Kiran and Mahinder. We look forward to working together with you and the school.